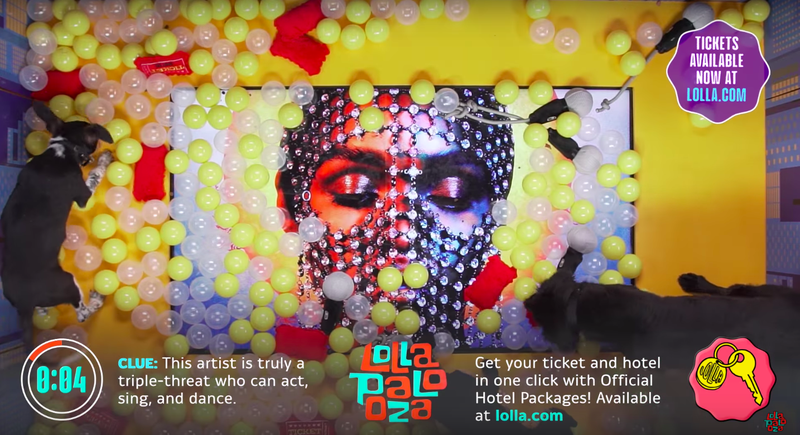 Lollapalooza is one of the world’s largest music festivals, taking over Chicago’s Grant Park for two entire weeks during the dog days of summer. And this year, the fest is using its considerable profile to benefit local no-kill shelter PAWS by having some of the organization’s very cute, very adoptable pups help announce the first of Lolla’s lineup. The video, which you can watch below, is only 14 minutes, but it’s a little excruciating to get through if you’re just interested in who’s playing. However, if you enjoy watching clumsy puppies chase balls around, or music trivia, you’re in for a real treat. And anyway, you can also just scroll down for the list of names that were announced. And if you’re eager for more dog content, don’t forget that time The A.V. Club took its own trip to PAWS Chicago to film Parks And Rec’s Jim O’Heir playing with puppies.